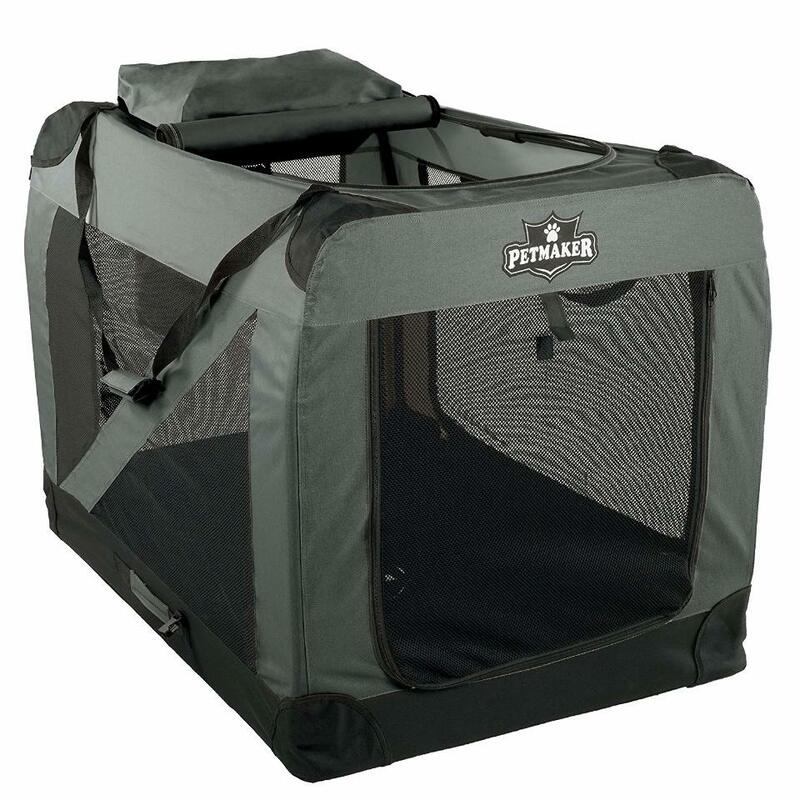 Give your pet their very own place to rest and relax wherever you go with the portable indoor/outdoor soft dog crate from PETMAKER. Ideal for home use, it is also great for traveling. 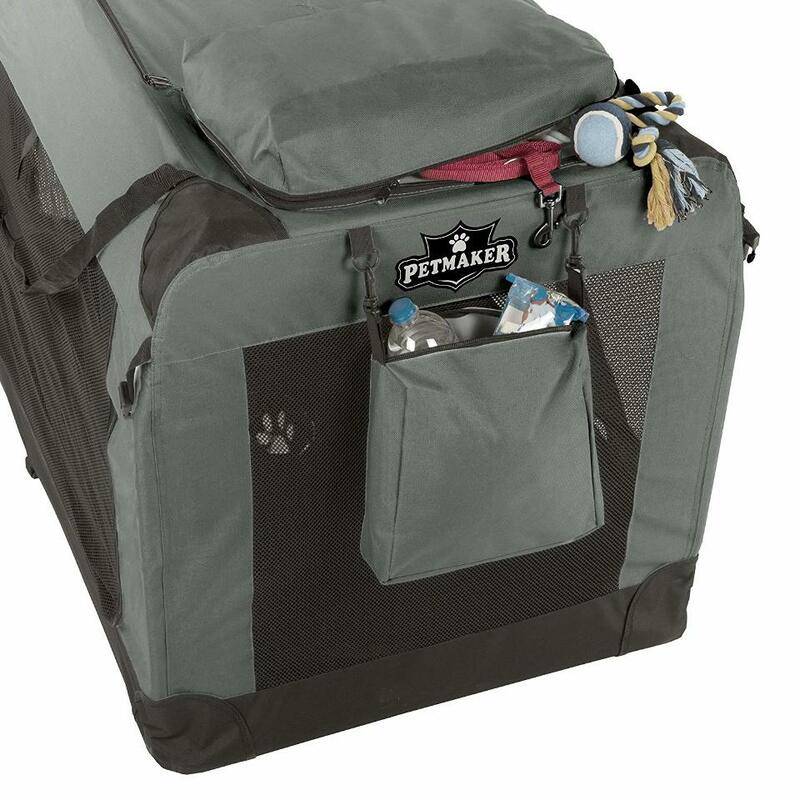 This lightweight carrier is made of heavy duty nylon polyester with a durable PVC backing. 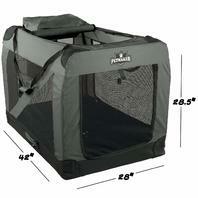 Mesh sides offer ventilation with a View while the removable soft fleece pad provides a comfy place to nap. 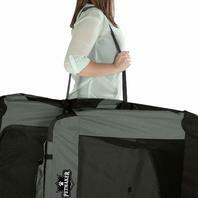 Perfect for travel; use indoors or out. 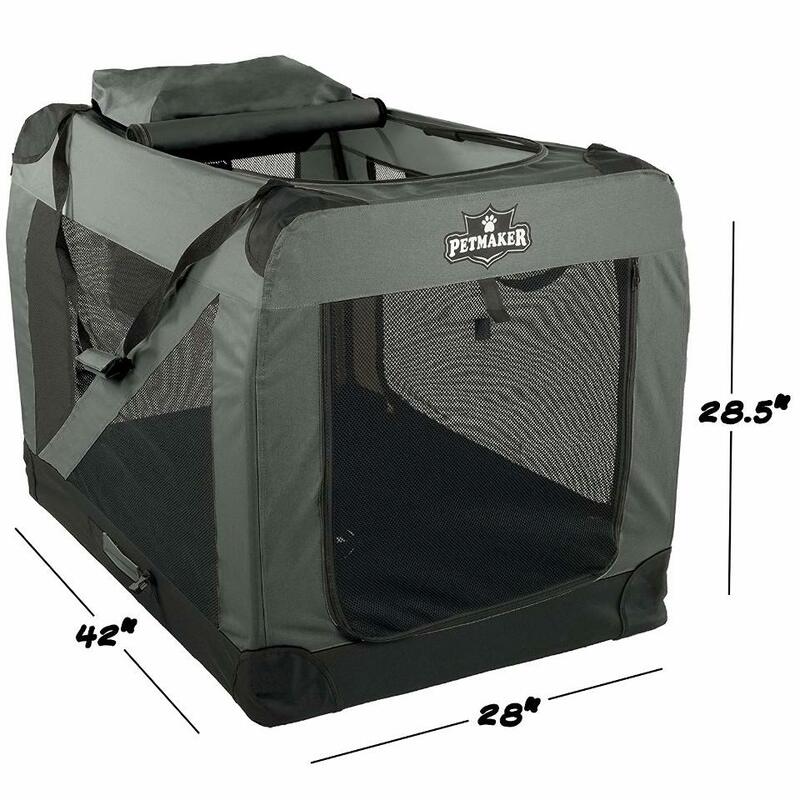 Sturdy inner steel tubing assembles and locks into place with ease, (no tools required) giving your pet an instant resting area regardless of your location. The two storage pouches (one which is detachable) can be used to hold your pet's treats and toys. Includes a soft black Reversible fleece mat for a comfortable sleeping surface along with a waterproof back side which is removable and washable. Easy cleaning; simply wipe down with warm water and mild detergent. Space Saving design and portability; folds down with locking brackets to just 3in for easy convenient storage. Carry handle.